I love to have fun with food! 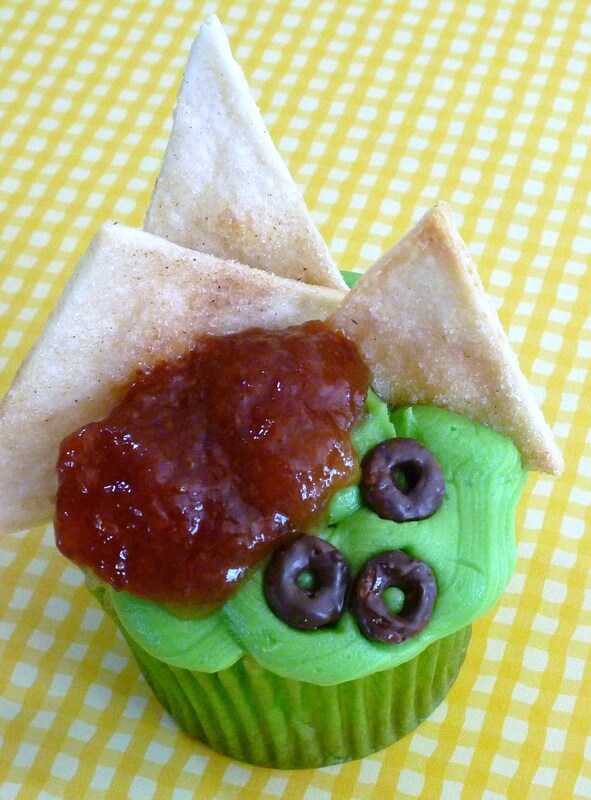 My favorite part of this cupcake is the chocolate covered Cheerio “olives”. I made my “olives”, after hearing about the ones that Jacques Torres makes. Someday I will go to his store and buy them! The strawberry jam “salsa” tastes pretty good … son #3 loves this part! 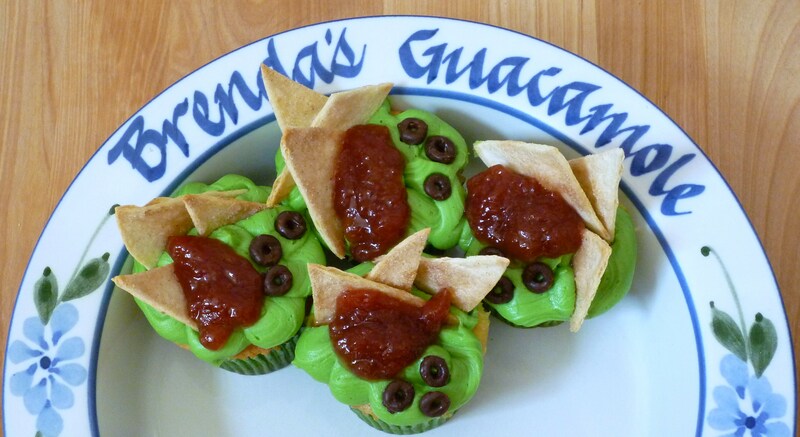 I can’t believe that it took me so long to dream up guacamole cupcakes! 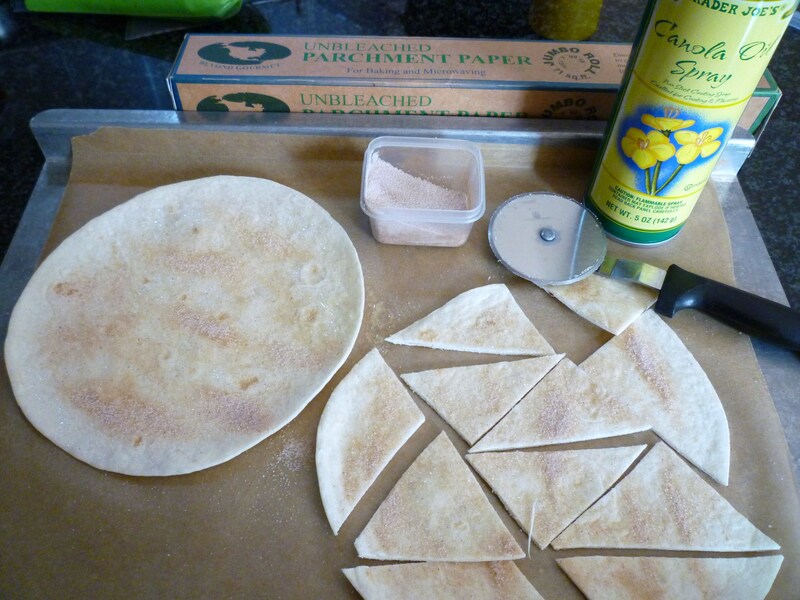 Make the chips – Place 2 tortillas on a parchment lined baking sheet, spray with oil, sprinkle with cinnamon/sugar, cut into triangles, bake at 400°F for 10 minutes or until golden brown. 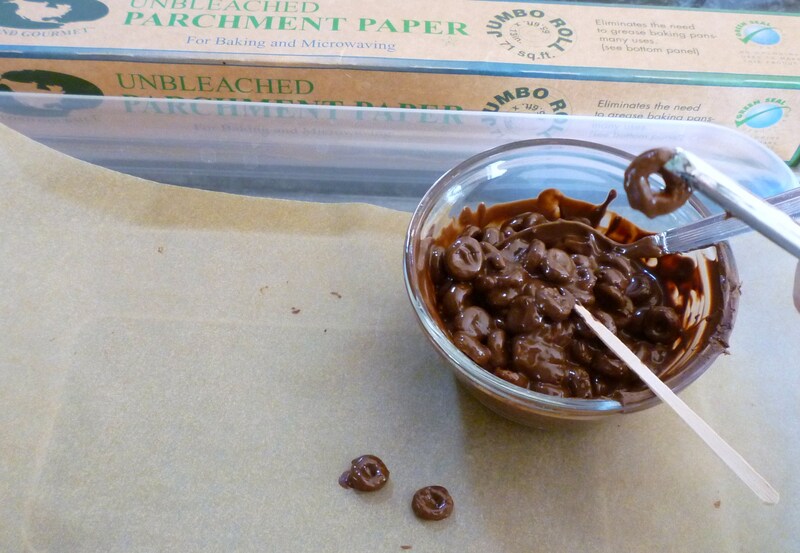 Make olives – Mix melted chocolate and Cheerios, remove each Cheerio with tweezers and use a toothpick to poke the chocolate out of the center if necessary. 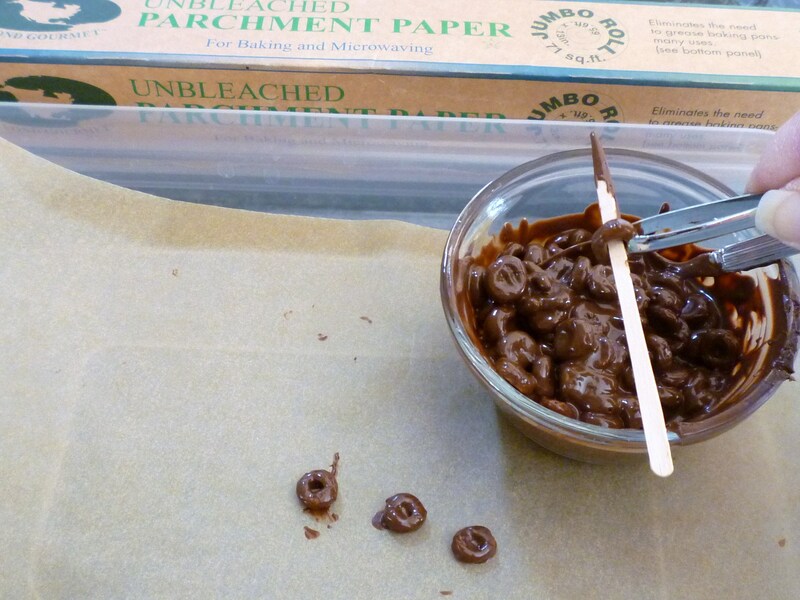 Lay on parchment and chill for a few minutes. 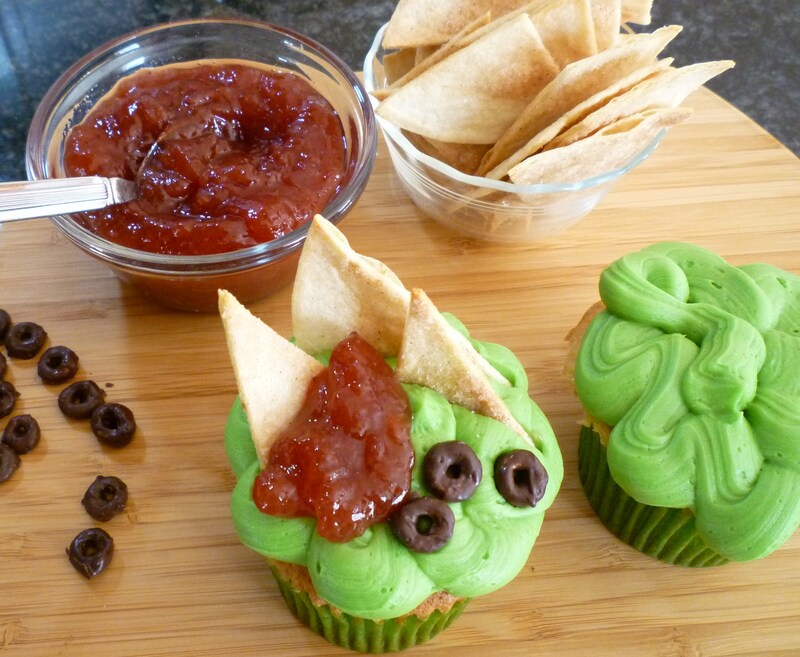 Make “guacamole” icing – color the icing yellow then mix in one drop of green coloring and continue adding green until you have reached a lovely guacamole color! 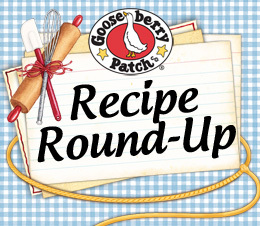 Fill disposable pastry bag (or a ziptop bag) with icing and cut off tip creating about a 1/2″ opening. 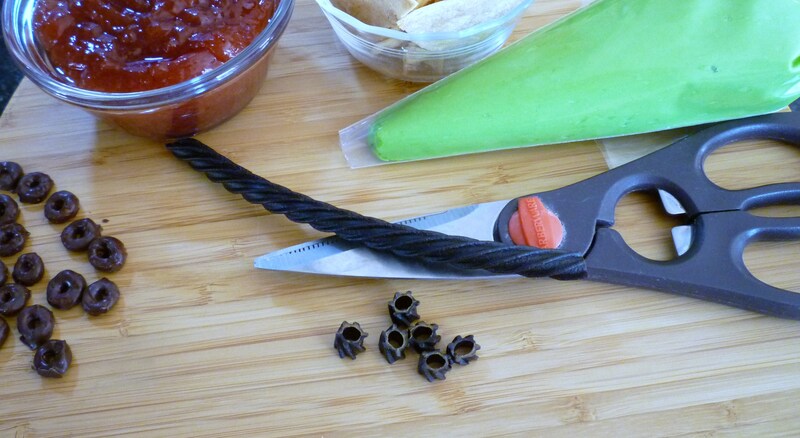 I do have an “olive” alternative – cut black licorice … the hubby likes black licorice, I am not a fan of it, but it is easy! 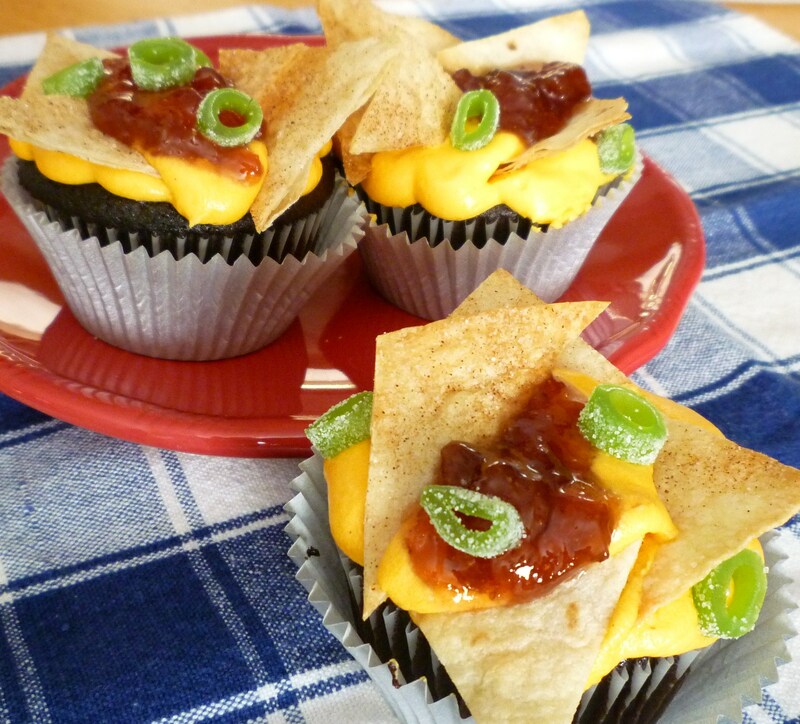 Oh, my, these would be especially great for the Super Bowl gatherings. 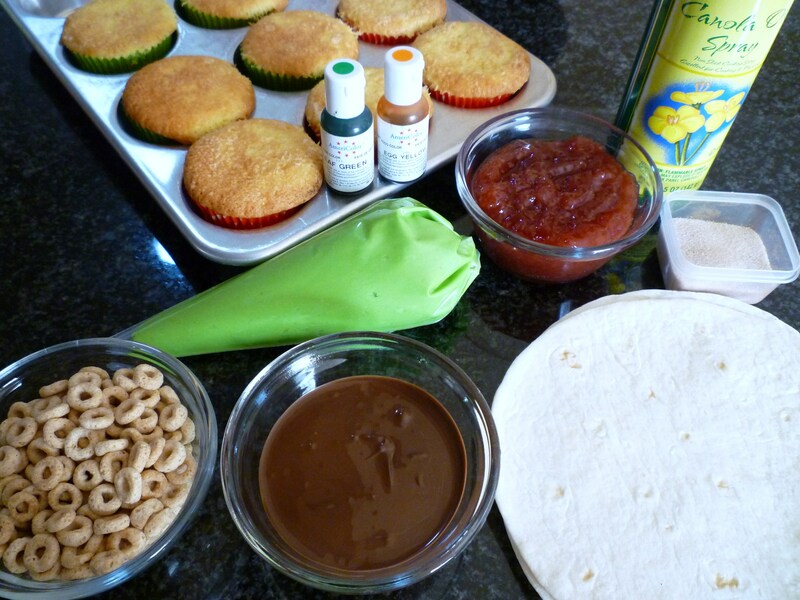 roll out black fondant, use the end of decorating tips to cut out the olives; let them dry before placing on the cake/cupcakes. You’re more then welcome to come. The more the merrier. Thank you 🙂 The plate was a gift from a friend many years ago … because I always brought the guacamole to parties.